People with Borderline Personality Disorder (BPD) often have trouble relating to other people, causing instability in their interpersonal relationships. If you have BPD, you may feel as though you need to secure extra assurance from others to help you maintain your relationships, which can result in the impulse to lie. 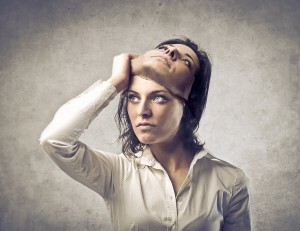 Compulsive lying, or mythomania, can be common in people with Borderline Personality Disorder. This is because people with BPD are often very afraid of abandonment and disapproval, and will do whatever it takes to make sure neither of those things happens. If you have Borderline Personality Disorder and have been at fault, perhaps for a car accident or mishap at work, you may have tried to pass the buck or rationalize the mistake while you are desperately trying to avoid being viewed in a negative light. Many Shades of Lies Manipulation can take many forms. You might think of compulsive lying as the fabrication of elaborate stories that are easily debunked and taken to be ridiculous among peers. However, compulsive liars can be much more subtle and trickier to figure out. If you have Borderline Personality Disorder with a habit of lying, you may have found that others have lost their trust in you by degrees instead of after one particular incident of dishonesty. Some forms of lying prevalent in people with BPD include the following: Faking a medical condition in order to reduce responsibility Carrying on close personal or romantic relationships strictly for personal gain Blaming tardiness on children, a faulty car, or other fictitious circumstances Contributing imaginary information to a friendly conversation Avoiding embarrassment by giving incorrect but convenient answers to simple questions (for example, telling someone you parked in the lot they told you about when in fact you couldn’t find the lot or forgot about it) It’s All in Your Brain The tendency to compulsively lie may be attributed to the structure of your brain. A recent study conducted at the University of Southern California (USC) shows that if you have a history of lying, your brain might actually be structured differently than that of a person who is generally honest. White matter in the prefrontal cortex (the front part of your brain) is responsible for masterminding a lie, which includes weighing how the other party will respond and suppressing your own emotions to limit or eliminate the appearance of nervousness. Gray matter is the substance that curbs the impulse to lie to make things easier and holds people to their principles. In the USC study, compulsive liars showed a higher percentage of white matter and a deficit of gray matter. Is Honesty the Best Policy? We uphold myths of George Washington confessing to chopping down the cherry tree and Abraham Lincoln walking miles to return something that didn’t belong to him as symbols of our cultural principles. While it is true that very few people go through life being completely honest — and there are times when a fib can save lives or help children cope through difficult times — compulsive lying can ruin your career, relationships, sense of well-being, and self-esteem. The key is to learn to tolerate the stress that being honest can bring on, particularly the uncertainty of whether the other person will still like you if you confess to the truth. For people with Borderline Personality Disorder, these are skills that can be worked on in therapy, especially with Dialectical Behavior Therapy (DBT), which strengthens these very abilities.